I am currently employed in the position of Grade 4 teacher, having previously taught six years of Grade 3 all at Burdett School in Alberta. I am passionate about about learning, enjoy planning new and exciting ideas for my students, and helping my students become empathetic, resilient, and capable global citizens. My family and friends are the most important people in my life. They challenge and support me through my lifes’ journey. They have taught me to laugh, relax, and live life to the fullest. One of the main reasons I pursued a career in education was to follow in the footsteps of family members who were in the teaching profession. I witnessed the joy and pride they received during their teaching careers and from the positive impact they had on their students. I also wanted to have this kind of positive impact on students during my teaching career. I feel during my time as a teacher at Burdett School I have taught my students the importance of education – this is witnessed by the quality of their work, as well as, through their enthusiasm for learning! I strive to do my best in both aspects of my life – personal and professional, exercise provides a way for me to channel my energy in a positive way. I believe physical activity helps keep both my mind and body healthy, which is important considering the demands of the teaching profession. 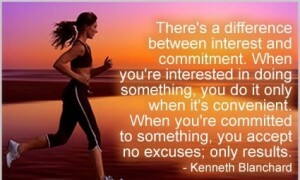 My passion for keeping fit is running and weight training. Recently, I have also found an enjoyment for cooking tasty and healthy meals for my family and friends. . . I must admit I was a terrible cook prior to this! I feel it is important to help students understand the benefits and importance of living a healthy and active lifestyle. This is one of the main reasons I coached mini-sports for students ranging from Grades 3-9. I also have another passion that I really don’t like to admit, but everyone who knows me will say I am one. ”I confess! I am a shopaholic!” I love all things fashion! 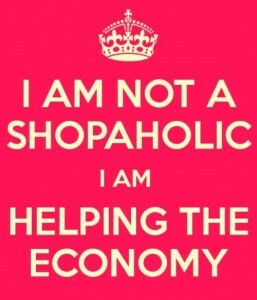 However, I justify my shopping by saying I am helping the economy! Being a teacher, I feel privileged to help my students reach their highest potential possible. 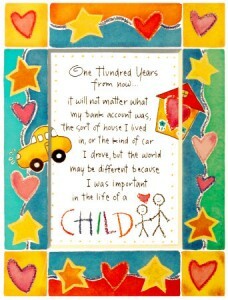 To me this is one of the greatest gifts I can give my students.